The Barkley has a limited number of spaces in a home environment, giving each dog plenty of attention, exercise, enrichment, rest, and love. We are fully insured and licensed by Central Bedfordshire Council and pride ourselves in providing a premium experience for our guests. Dogs in day care spend their time in our home, safe garden (fenced to 6ft) and summer house with our constant experienced supervision. 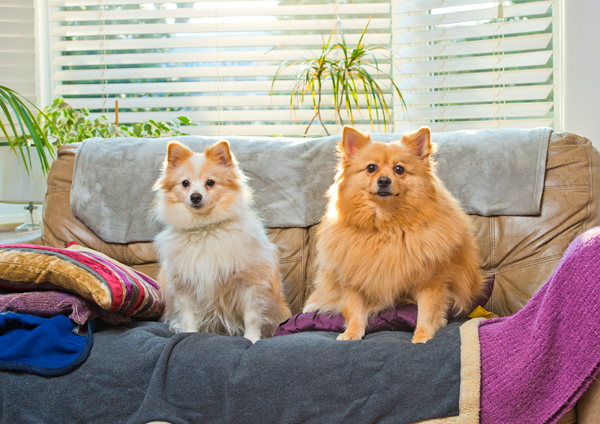 Our canine clients go home happy, exercised and mentally stimulated to be happier, calmer dogs. 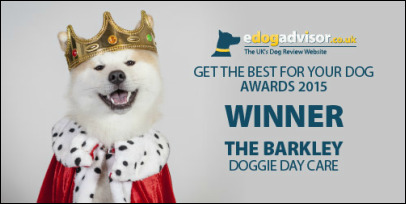 In 2015 we were the recipient of eDogadvisor's award for Best Doggy Day Care. Full day care starts £22. Half days, reduced hour days, and social sessions available. Weekend, late pick up and bank holiday surcharges apply.